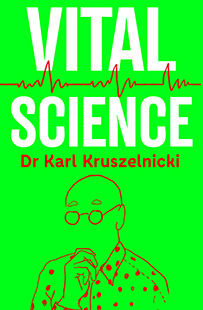 Get your pulse racing with Australia’s most popular scientist, Dr Karl Kruszelnicki as he illuminates the world around us in his idiosyncratic and totally engrossing way in Vital Science. Discover why people tell lies, why some planets are hotter than stars and how humans are terraforming the Earth. Is cockroach milk really the next Superfood? Why are birds so smart? Why do trees need each other to grow and how do they communicate? Why did a group of scientists voluntarily starve to death while surrounded by tonnes of food? Did you know that the world’s longest cat fence that should be completed in Australia by the end of the year? How long does a decapitated head stay “alive”? What human artefacts can be seen with the naked eye from the International Space Station? Who is Bertha Benz and how will her first car trip revolutionise air transport tomorrow? Finally, monitor your breathing and learn why whales are so big, why oral histories are surprisingly accurate and try the five tried-and-tested steps to becoming a wellness guru. Dr Karl Kruszelnicki is the Julius Sumner Miller Fellow at the University of Sydney. He is a qualified medical doctor, engineer, physicist and mathematician. He has been named one of Australia’s National Living Treasures. 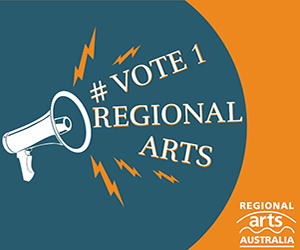 Dr Karl brings science to the airwaves every Thursday on the popular Science segment on the triple j Mornings show. He is gaining even more popularity with his newest podcast Shirtloads of Science and was the host of the Discovery Channel’s ten-part TV series Dr Karl’s Outrageous Acts of Science. Vital Science is published by Pan Macmillan Australia and is available from all leading book sellers including Booktopia.